Had it with airports? With so many cruises sailing from UK waters, there are some fabulous plane-free ways to make your great escape. Imagine a holiday where you can take as much luggage as you like and bring home as many gifts as you can carry. A holiday that lets you roam the world without the bother of air travel – and where the journey is no less exciting than the destination. Take a no-fly cruise from the UK and the daydream becomes a reality. What’s more, there are so many other benefits. An obvious one is that you can often park your car within a short stroll of the ship, while at some ports your bags are unloaded from your boot and whisked straight to your cabin. Another attraction of ex-UK cruising may be more surprising – the wide choice of destinations. Living on an island, we can head north, south, east or west, joining anything from a short-break “taster” voyage to a round-the-world adventure. It’s possible to visit an array of great European cities without going near an airport. Celebrity’s Eclipse sets out on a 14-night Western Mediterranean round trip from Southampton on September 3 to an interesting collection of destinations. An initial two days at sea will give you a chance to enjoy the top-deck grass lawns and adults-only solarium pool of this 3,000-passenger favourite. First stop is Gibraltar. Resist the shops and pubs of the oh-so-British Main Street and visit the rock formations in St Michael’s Cave (you might even snap a selfie with the famous monkeys up on the Rock). Stylish Nice (from nearby Villefranche) is next, followed by La Spezia, Italy, from where trips will run to Florence and Pisa. 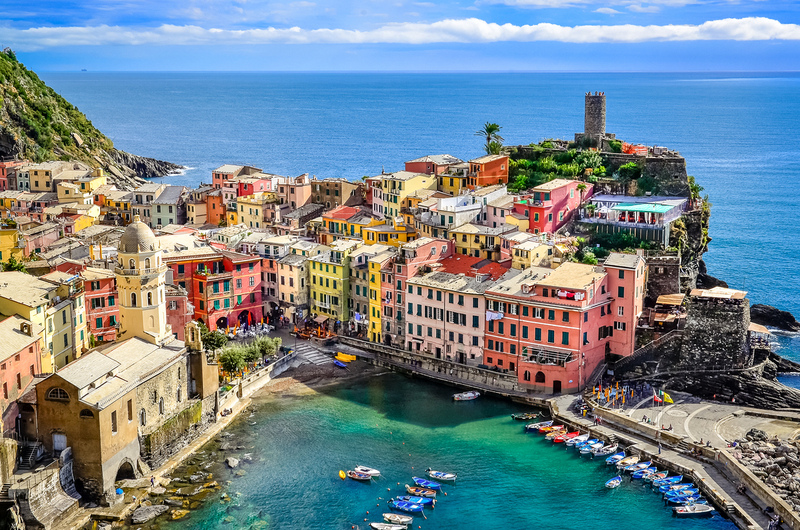 If they seem a bit of a trek, the picturesque fishing villages of the Cinque Terre are much closer. It’s a 90-minute ride from the port of Civitavecchia to Rome, so do your homework in advance as there’s such a lot to see. A stroll through the Forum will let you experience the epicentre of the entire Roman Empire. Genoa is a less visited destination with an interesting range of architectural styles, and then comes Malaga, where a staircase from the docking peninsula will lead you up to a 10th-century castle. The journey back to the UK is pleasingly broken by a stop in Lisbon. There’s plenty to absorb you in the Portuguese capital, but do find time for a trip on an old-fashioned tram. From a cruising point of view, the Baltic Sea is all about the historic – and diverse – cities around its coasts. You can tick off no fewer than six capitals on a 13-night Scandinavia & Russia Collection trip from Dover with Princess. The ship, Pacific, is Princess’s smallest, with just 670 guests indulging in fine dining and Festivals of the World entertainment. Starting out on September 11, the first call is Copenhagen. 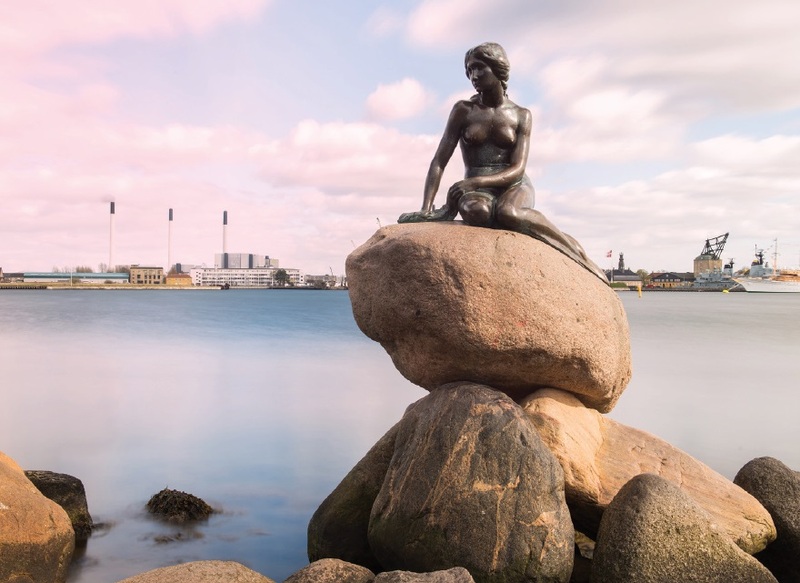 If you’ve been before and seen the best-known attractions, have a wander around the trendy, canal-filled Christianshavn district, or investigate the star-shaped fort. Riga is a gem – visitors love the Art Nouveau buildings and the green riverside park that runs through Latvia’s capital. Next up is Tallinn, which is simply a perfect example of a medieval city, then it’s on to St Petersburg in Russia for an overnight stay. Consider an excursion to Peterhof Palace – even the inevitable crowds cannot dim the spectacle of its fountains and golden statuary. Helsinki is a laid-back place with various harbours to discover, while Stockholm – built across a series of islands – cries out to be discovered on a smaller ship. A journey along Germany’s Kiel Canal on the way back is a treat. You’ll be amazed at the giant ships plying their way through pastoral countryside that could be Shropshire. Finally, Amsterdam offers its many cultural diversions before Pacific makes the short voyage back to Dover. Contorted, wild and cloaked in lush vegetation, the Azores are a group of nine volcanic islands way out in the Atlantic. They feature on many transatlantic crossings but Fred. Olsen has made them the main focus of its Azorean Discovery cruise on September 30. Proving that UK cruising is not all about the south coast, Boudicca makes the 13-night journey from Liverpool, a boon for travellers from the North and Scotland. The longest leg is completed first – to Praia da Vitoria on the isle of Terceira. A trip to the UNESCO-listed town of Angra do Heroismo is well worthwhile to see the handsome streets of balconied buildings and the 16th-century castle. Faial is an island that grew in size in 1957, when an enormous volcanic blast just offshore created a new portion of land. You can also see the giant caldera at the island’s centre and, as the ship docks overnight, call in for a drink at the famed Peter’s Café Sport near the quay in Horta. Sao Miguel is the largest isle, and the city of Ponta Delgada, full of traditional Portuguese architecture, is on your itinerary. Do join a trip to see the twin crater lakes of Sete Cidades. Next port of call is pretty Madeira, some 600 miles to the southeast, before Boudicca reaches mainland Portugal and the charming riverside city of Porto. On the voyage back to the Mersey, you can enjoy three pools, al fresco dining and regular shows on board this classic smaller ship. 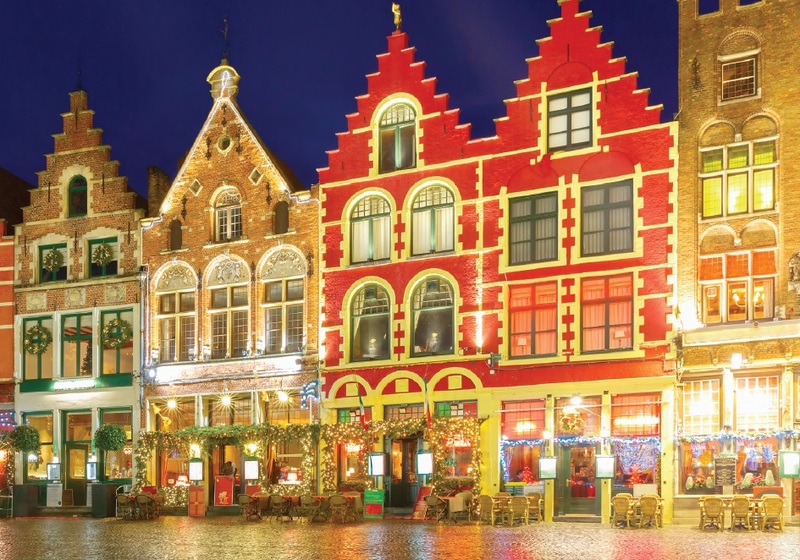 Christmas markets are usually associated with river cruising, so it’s good to see Saga continuing its popular festive ocean cruise this year. Sapphire – the larger of Saga’s two ships, but still small at 720 passengers – undertakes a five-night Continental Christmas markets sojourn from Southampton on December 3. First, comes the pleasant port city of Bremerhaven, but most guests will want to take the hour’s run to Bremen. This picturesque city on the River Weser is home to a lovely market with traditional stalls selling toys and handmade decorations in both the medieval main square and down by the waterfront. Browsing the wooden stalls against a backdrop of grand old buildings is a joy, but don’t forget to warm up with a mug of glühwein. You’ll appreciate the friendly atmosphere and excellent food aboard Sapphire, as she makes her way to IJmuiden. The port is a gateway to Amsterdam, and although there are Christmas markets here too, you could take a break from shopping to visit the splendid Rijksmuseum, or try a countryside tour. Hats off to Cruise & Maritime Voyages for offering cruises from more UK ports than any other line. London Tilbury, Liverpool, Newcastle, Edinburgh and Hull are among them. Sailing around the British Isles has become hugely popular, and C&M’s 10-night Treasures voyage on April 26 next year ticks many boxes. Departure is from Bristol – convenient for guests from the West Midlands, South Wales and the West Country. Sailing aboard Marco Polo, C&M’s 800-passenger classic ship, you head up through the Irish Sea to Tobermory on the Isle of Mull. Beyond the pretty fishing town – check out those colourful quayside homes – you’ll find plenty of wild landscapes. Moving on to the Outer Hebrides, you’ll arrive at Stornoway. There are prehistoric sites nearby, though the harbour town itself is an inviting place. Then it’s up to the Orkneys, rich in ancient history. Kirkwall has the most northerly cathedral in Britain – St Magnus – and don’t miss the world-famous 5,000-year-old settlement of Skara Brae. Marco Polo then turns south, calling at Rosyth for Edinburgh, before a longer sailing down the east coast of Britain brings guests to Honfleur, one the most picturesque ports in France. Succulent seafood and intriguing Second World War history are on the agenda in Jersey before you sail west to the Scilly Isles, which in late spring should be bursting with flowers – best seen in Tresco’s wonderful Abbey Gardens. Arriving back in Bristol, you’ll have completed a circumnavigation of Great Britain. Look at an atlas and you’ll see that Norway is just a hop across the North Sea. In other words, the world’s most beautiful coastline is almost on our doorstep. 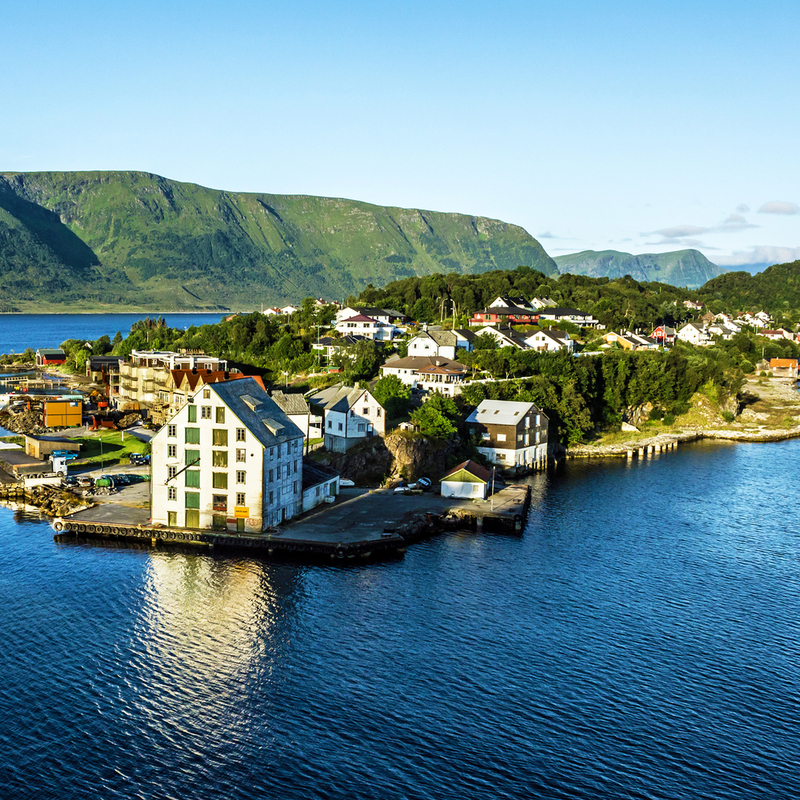 There’s plenty of choice if you’re in the market for a trip to the fjords, and Norwegian Cruise Line is – not surprisingly – among the contenders. 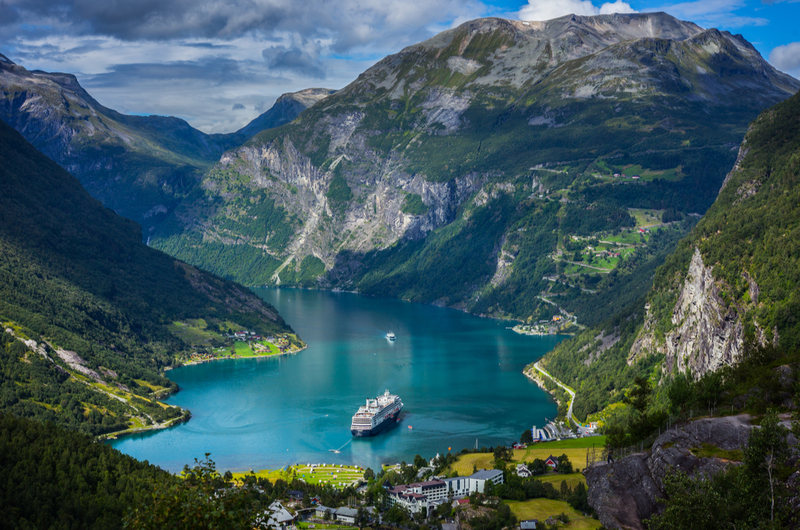 Its nine-night Fjords voyage aboard Jade from Southampton on August 9 is ideal if you have children, who will not only benefit from the geography lesson that Norway presents, but will also enjoy the ship’s onboard facilities and age-specific kids’ clubs (adults will love the Asian restaurants). The itinerary is well thought out, including the scenic splendour of Geirangerfjord and a chance to ride the mountain railway from Flam. If the latter is too expensive for the family, try a walk up the valley to see roaring waterfalls. There’s plenty of Viking history to excite all ages at Stavanger, while at Alesund anyone who is fit should climb the 418 steps to Mount Aksla for its view of the town’s Art Nouveau architecture. Hellesylt, on the way to Geiranger, is a pretty little village with its own cascade, and the other stops all have something to offer (Haugesund is handy for waterfalls, a glacier and even beaches). Before making her way back to the UK, Jade curls round the bottom of Norway into Oslo for an overnight stay. An excursion to the Viking Ship Museum could be the ideal way to conclude your journey. The idyllic islands of the Caribbean are nine hours away by jet. Or about a week by sea – which is why Cunard’s Caribbean Highlights voyage on November 18 takes 24 nights. Starting from the line’s home port of Southampton, Queen Victoria will transport you across the Atlantic in traditional style and comfort (think afternoon tea, ballroom dancing and learned lectures). After breaking her journey in the Azores, the ship makes Caribbean landfall at Dutch-flavoured St Maarten, where optional activities include kayaking, cycling and sailing on a traditional tall ship. Then it’s on to friendly, relaxed St Kitts, where you’ll discover the only surviving railway in the West Indies – a splendid way to spend the day. St Lucia comes next. Gros and Petit Piton, the island’s twin volcanic spires, are the Caribbean’s most distinctive emblem, and you can take a high-altitude hike if you’re feeling strong. Alternatively, you can visit exotic gardens, play golf or go dolphin-watching. Barbados may need little introduction but if you can drag yourself away from the legendary beaches, take a tour that includes the charming Sunbury Plantation House, or make friends with green monkeys at the Wildlife Reserve. From Shirley Heights on Antigua you can admire a tropical panorama, while down below is the historic Nelson’s Dockyard, recently listed as a World Heritage Site. As a diversion from the ship’s spa and pools on the return leg, a second call in the Azores will allow you to explore Praia da Vitoria on Terceira, one of the largest of these dramatically volcanic islands. Royal Caribbean’s 140,000-ton Navigator of the Seas made a welcome return to Europe this year, and one of its ex-UK voyages is a Canaries and North Africa special. On September 29, Navigator heads south from Southampton on a 14-night journey that combines a great variety of on-board pleasures with a sparkling itinerary. 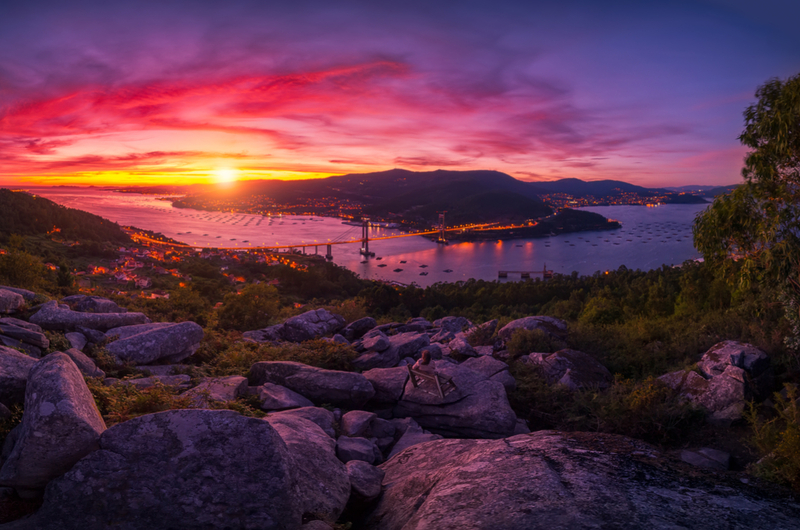 First comes Vigo in northeast Spain, from where many guests will choose an excursion inland to Santiago de Compostela and its magnificent cathedral, a place of pilgrimage for centuries. The young-at-heart may want to try Navigator’s surf simulator and ice rink – as well as its many pools – before exploring the glories of Lisbon. Then it’s on to Agadir, where a taste of Moroccan life can be found along the beachfront promenade. Reaching Lanzarote in the Canaries, you may want to take a trip to Timanfaya National Park for a minibus drive around the incredible lava formations – the result of an enormous eruption in 1730. Gran Canaria offers a chance for beach time among the dunes, or some shopping, then at Tenerife you could consider the trek – via cable car – up 12,000ft Mount Teide. Arriving at Madeira, you won’t be disappointed if you choose to visit the stunning gardens at Monte Palace or the dramatic Nuns Valley. On the way home, Navigator calls at La Coruna in northern Spain – a maritime city with fine beaches and the oldest lighthouse in the world. Voyages to Antiquity is usually associated with sailings to historic European cities, but the 14-night Iceland, Faroes and Shetlands cruise from London Tilbury places the accent on nature. Experts in the fields of wildlife, geology and archaeology will board the traditionally elegant Aegean Odyssey for this August 8 departure, giving lectures on various aspects of the amazing landscapes you’ll encounter. Taking just 350 guests, Odyssey can access smaller ports, and after a call at Edinburgh (from Rosyth) she visits no fewer than five destinations in Iceland, offering an exceptional chance to get acquainted with this charismatic country. 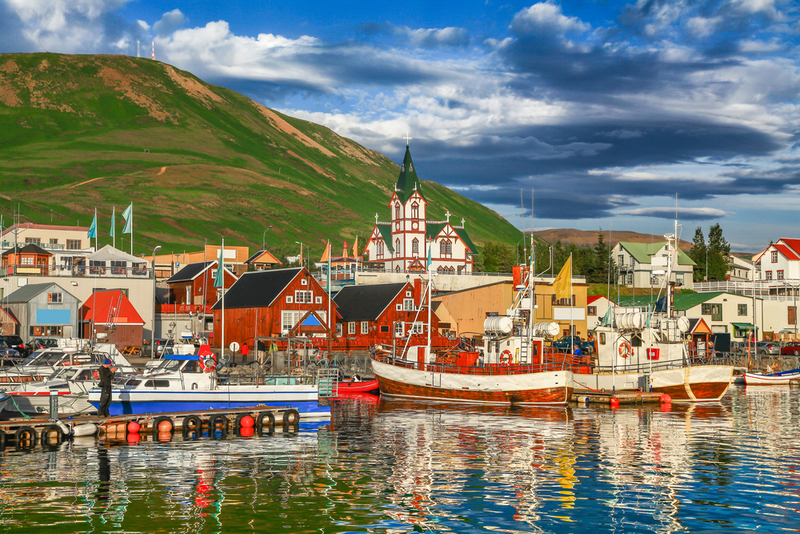 Among them are Heimaey island, which hit the headlines in 1973 when it was threatened by oozing lava from a volcanic eruption; Isafjordur on the spectacularly remote northwest peninsula; and Husavik, which is one of the world’s best spots for whale-watching. From the capital, Reykjavik, there is an opportunity to see spouting geysers and an immense waterfall, while from Akureyri a trip is offered to mysterious Lake Myvatn. The Faroes are completely different. Whatever forces of nature shaped these islands, it’s as though they stopped for lunch and never returned, such are the extraordinary crags, cliffs and swoops of the landscape. Both the Shetlands and the Orkneys feature on this voyage, and keen birdwatchers will be in their element on both, as will those who wish to explore some of Britain’s oldest signs of human settlement. Who doesn’t love a tall ship? Star Clippers operates three of the best, and this year it’s offering a tempting selection of “rail & sail” options, with luxury train travel from London to Cannes via Eurostar and TGV, followed by a night on the French Riviera and then a week’s all-inclusive cruise aboard the largest fully rigged sailing ship in the world. With departures between May and October, Royal Clipper makes port calls along the Cote d’Azur and in Corsica, Sardinia, Elba and the Italian coastline, so there’s no end of exciting excursion opportunities ashore. But that’s if you can tear yourself away from this magnificent ship, with its teak decking and thousands of square feet of billowing sails. Able to anchor in smaller harbours that conventional cruise ships can’t access, Royal Clipper combines the thrilling elegance of a bygone age with the luxurious amenities of a 21st-century private yacht. The atmosphere on board is relaxed and the dining is informal – but with a crew of 106 attending to just 227 guests, you can expect service of the highest standard.